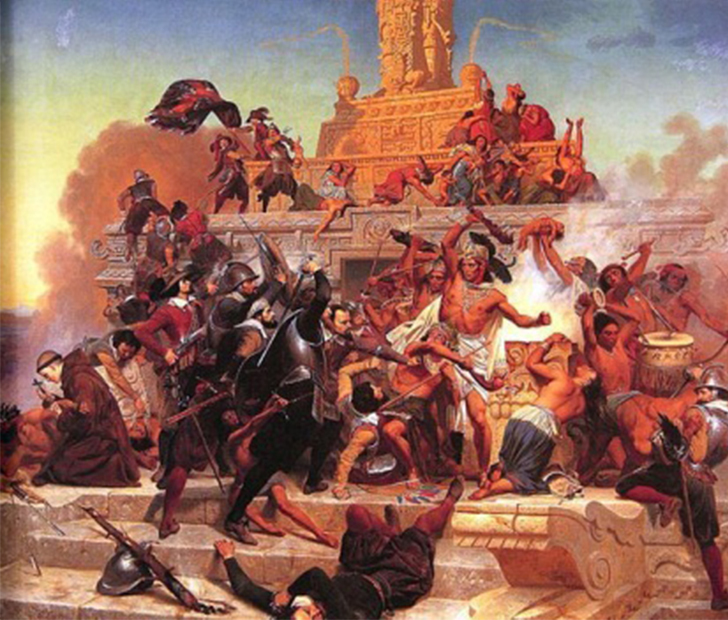 Nearly 500 years ago, the Aztec empire experienced a period of extreme pandemic hardship called “cocoliztli,” which translates to “pestilence.” The epidemic lasted for five years and wiped out 15 million people — about 80 percent of their population. The period of time was marked by extreme fevers and headaches as well as bleeding that occurred from the eyes and mouth. In the centuries since, scientists have been baffled by what exactly the Aztecs actually experienced. Now, though, they think that they’ve figured it out. “….now we are able to provide direct evidence through the use of ancient DNA to contribute to a longstanding historical question,” stated the University of Tuebingen’s Åshild Vågene. They were able to rule out things like mumps, smallpox, measles, and influenza — the reason being that DNA found on the victims’ teeth indicated a more typhoid-like fever. While European settlers were largely responsible for many of the Aztecs’ deaths, their ultimate demise by the disease was also by the hands of the colonizers, though it was done inadvertently. The disease that exterminated so many millions was evidently introduced by the Europeans who brought with them germs and bacteria that the Aztecs hadn’t developed an immunity to. “In the cities and large towns, big ditches were dug, and from morning to sunset the priests did nothing else but carry the dead bodies and throw them into the ditches,” explains French historian Fray Juan de Torquemada. Aztec physicians at the time were perplexed by such symptoms that even they recognized as different from more common diseases like malaria. After analyzing 29 skeletal remains from such burial sites, scientists found evidence of salmonella enterica bacterium, which cause enteric fever. This type of salmonella typically spreads through contaminated water and food, or more likely in this case through animals that the Spanish brought with them. SHARE this article with all of your history-loving friends!